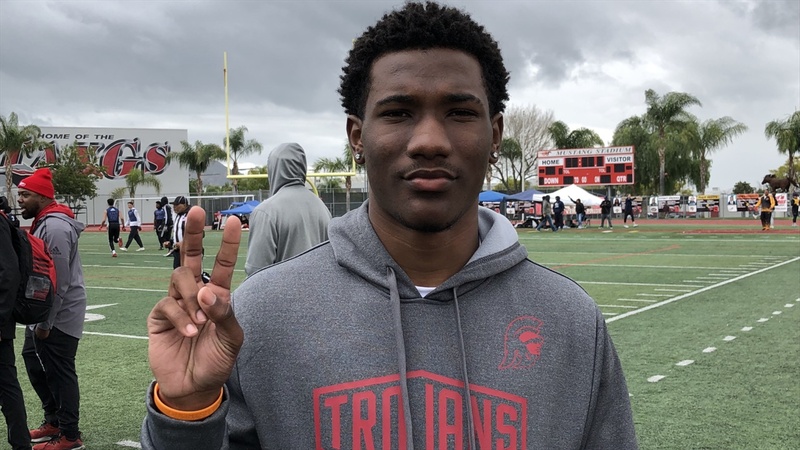 We spoke with four-star Narbonne WR Joshua Jackson‍ a week ago after the Premium Sports 7v7 Tournament in Moreno Valley a week ago, but since then he was one of a few top USC prospects who took an unofficial visit to see the Trojans. QB Bryce Young‍, OL Myles Murao‍ and OL Jonah Monheim‍ were also among the Visitors two weeks ago. Jackson’s offer list isn’t as lengthy as at this point as Gary Bryant‍, Johnny Wilson‍, Jermaine Burton‍ or a few other West-Coast wide receivers, but his offers include USC, Florida, Washington, Notre Dame, Michigan, TCU, Colorado, Washington St.